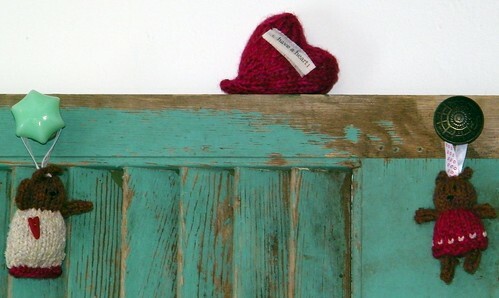 Happy Valentine's Day to all of my blog friends and followers! Sorry I haven't been around here for a while. Writer's block. I've had these little bears done for some time. 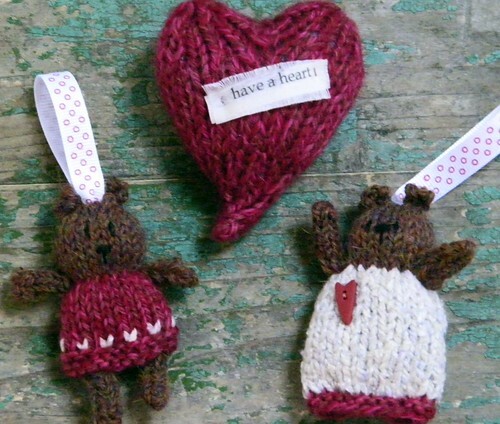 I made them using leftover yarn, and then gave them the appropriate Valentine's outfits. Clapotis is also done. I will post about it this week. There, I said it, now I'm committed. Very cute bears! Can't wait to see Clapotis :). i can not wait to see clapotis! love the sweet bears! The bears are SWEET! Too cute!